ChicExecs Secures Romp & Roost in TTPM! Our latest feature is for our client Romp & Roost on TTPM 2018 Best of Baby Awards! 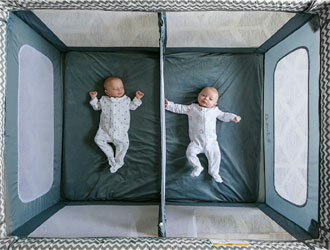 Give your baby or toddler space to play or sleep with the Romp & Roost. This mom-designed playpen is much larger than traditional playpens, and it features a snap- and zip-in divider that turns it into two spaces, if desired. Order a Romp & Roost for your children today!